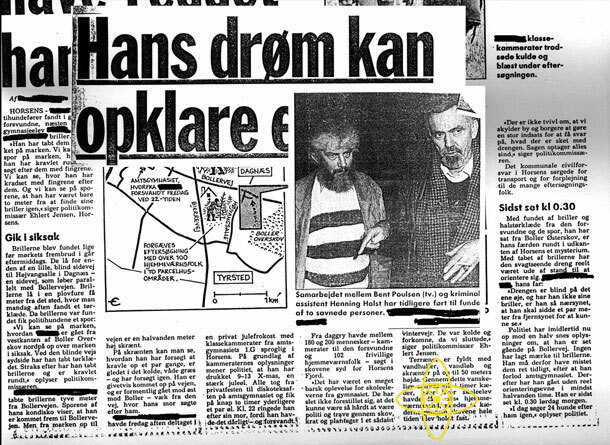 From June the 3rd-8th 1999 we will, from a base in Juelsminde, Jutland dig us way into the case of the secondsighted man. Who was/ is this man and did his dream really lead the police to find the disappeard boy? The investigations will be open for acceess during the periode on the web-adress written below, with an update every night at 9 pm. You can also e-mail and call us with questions or suggestions concerning the investigation.